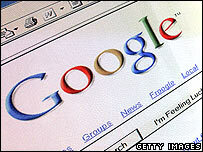 A story from bbc.co.uk is reporting that Google are finding the Microsoft purchase of Yahoo, "troubling". Google has said it finds Microsoft's $44.6bn ($22.65bn) bid to buy rival Yahoo "troubling" and wants regulators to scrutinise the proposed deal. This is a very understandable reaction from a company that has been dominating the online application space for a number of years now. Google's business model relies heavily on advertising, as we know, and the revenue from advertising is directly linked to the amount of traffic visiting the sites. The Microsoft/Yahoo deal may decrease this number of users, hence decreasing the amount of advertising revenue ergo decreasing the amount of profits Google are making and with Wall Street already concerned about the amount of profits Google are going to be able to make during the economic slowdown this takeover has produced a very defensive response. 1. Google Maps. There is no questioning the fact that this is an extremely high quality application which can now be installed on Nokia N95 as well as having it on iPhone and iPod Touch. It's impossible not to be impressed with the quality of the imaging. On the other hand I used the application last week on my iPod Touch to find a restaurant near to where I work. Wondering why the distance to the nearest one was over 5 miles I checked where Maps thought my location was and it placed me in the middle of the Irish Sea! Maybe this is just an unfortunate example but Nokia's Maps application on the N95 using GPS is fantastic. What does place Google's application above the competition is the high quality of aerial photographs of cities that aren't in the US. If all Google products were as good as Maps and Search they wouldn't be worrying about this deal, they wouldn't need to. 2. GMail. This is one of Google's flagship products, and in many ways a product that has caused the most headaches for their legal department over the last couple of years. GMail is another mail client needle in a massive stack of mail client needles. The support of POP3 and IMAP certainly makes it easier to receive your email while using a wide variety of devices and the GMail application for N95 is very handy. In the GMail client the grouping of emails into conversations and ability to categorise emails using labels makes it quite appealing. However to anyone familiar with Outlook, as many office workers will be, Live Mail will be very familiar and usable. This can either be a curse or a blessing but personally I believe that it's a blessing. For anyone not wanting to access their mail through the browser they can download the Live Mail desktop application which allows you to add numerous email accounts and support POP3, IMAP and HTTP, what more could you want. Due to the Outlook like interface users get familiarity and generally users like familiarity. In fact this leads onto a much larger point. 3. Google Docs vs. Microsoft Office vs. Open Office. Many of the future battles for users will be fought in the Online Office space so lets take a quick look at the competitors. Google Docs is a growing online office application offering Spreadsheet, Presentation and Word Processing software. The applications allow you to work on your documents anywhere that has an Internet connection and save them online. No more installation of software and no more documents and charts taking up hard drive space that your family photos and music could be inhabiting. However the applications do not have the breadth of features that Microsoft Office and Open Office has. Also, if you're not connected to the Internet you cannot access your documents so no working on the plane. Finally, many companies are not going to be enthusiastic about saving their official documents online. Open Office has both online and offline applications now. Their online application offers similar functionality to the Google Docs Application but with the familiar Open Office interface. Once again I feel familiarity is deeply important. The offline application is a viable competitor to Microsoft. Considering this is a totally free application the feature depth is impressive. It's support of other file formats however is a little questionable and in a world were many of the documents you author will be read or edited using Microsoft Office this is going to be a disadvantage. Once again though for students or for home users Open Office is a viable alternative worth considering. Microsoft Office. I don't want to sound bias but this is the King of Office Applications. The depth of features and the number of users world wide make this the Office application that every user should have. While Open Office is successful it feels like Microsoft Works in comparison to MS Office. The new Ribbon Interface on Windows machines is beautiful to use and with Outlook Connector installed there is no mail server you can't get mail from, that I have found anyway. Word is the best Word Processor in the World by a considerable distance and excluding Mac applications PowerPoint is the best presentation application in the World. Excel may have some bad points but many users will never see them and anyone needing it for calculations like their finances it is perfect. Office is getting a live feature which is going to be a method of uploading your documents to an Internet storage location thus giving it access to them from any machine that has Office installed. With the Office applications making a lot of money I cannot see MS producing Office applications online anytime soon. Looking at the examples so far we can see that the share of quality is pretty even. While Microsoft dominates the Office and Desktop OS environments Google dominates the Online application and search environments. With the Mobile World still very much up for grabs, and baring in mind that Apple's well and truly battling for it, Microsoft needs the injection of energy that Yahoo would bring. But herein lies the question, what will Microsoft do with Yahoo? The best case scenario is that Microsoft fully incorporate Yahoo R&D into Windows Live and scrap the Yahoo brand. They then need to re-release the Yahoo applications as Windows Live applications while incorporating functionality from Yahoo Mail and Messenger into the Live Mail and Messenger services. Full support for all Yahoo addresses should be kept and incorporated into the Windows Live Authentication mechanism. The Windows Live team then needs to give the Yahoo guys a big say in the future of Windows Live services. Yahoo 'get' the Internet and its users and Microsoft 'get' success and how to maintain it. Let the Yahoo developers create the high quality applications they are used to producing and release them under Windows Live. Finally Microsoft needs to take a look at Windows 7. Is this really going to be a desktop oriented OS that's going to be rushed out because they can't handle the marketing of Vista, seriously guys the OS is excellent it should be an easy sell, or are they going to think about creating a hybrid OS. Fully incorporating applications created by the semi-independent, Yahoo driven developers into the OS and making it feel like your working in the Cloud as well as on your machine could open the door to the future of computing. A mobile driven, cloud driven, freedom driven OS that lets you work on anything, anywhere and at any time using tools developed by the Yahoo and Windows Live R&D team could be the Platform to re-launch Microsoft into a new Era. It's time to rebuild the brand and this deal is the way to do it.